Summary : Santarpio's is an old-school Italian bar and pizzeria that has been serving up pies since the early 20th century. 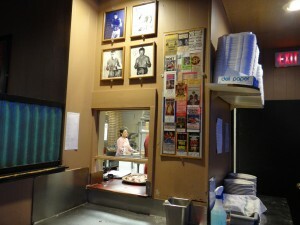 The no-frills vibe is part of the experience and the cheesy and oily pies are delicious too. Although Boston is only 3 1/2 hours from New York City by car or bus, it had been nearly a decade since I paid a visit there. 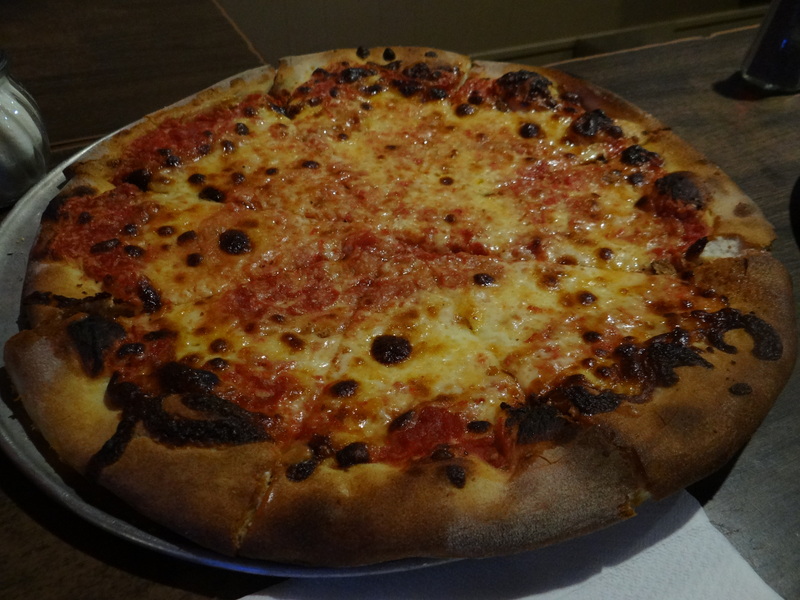 Although many of Boston’s most notable pizza places existed long before then, pizza wasn’t quite on my radar back in the early aughts. I first tried to stop at Galleria Umberto (289 Hanover Street) in Boston’s North End for one of their famous Sicilian slices, but there was a sign on the door that they were closed for a few weeks. 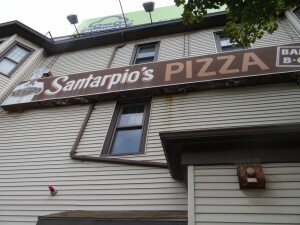 So I continued down to Santarpio’s (111 Chelsea Street) in East Boston — just a 10 minute drive away. What I encountered was an old-school, no frills bar and pizza joint that felt as if I were an extra in the latest Ben Afflek/Mark Wahlberg flick. One mah-gah-rita with gah-lic, please? 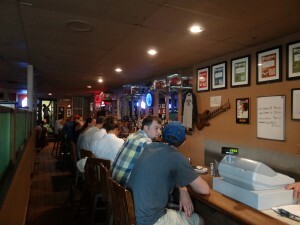 The first thing you’ll notice when you walk in, is a bar on your right and tables on your left. Also, to your immediate right is a grill for barbequing. 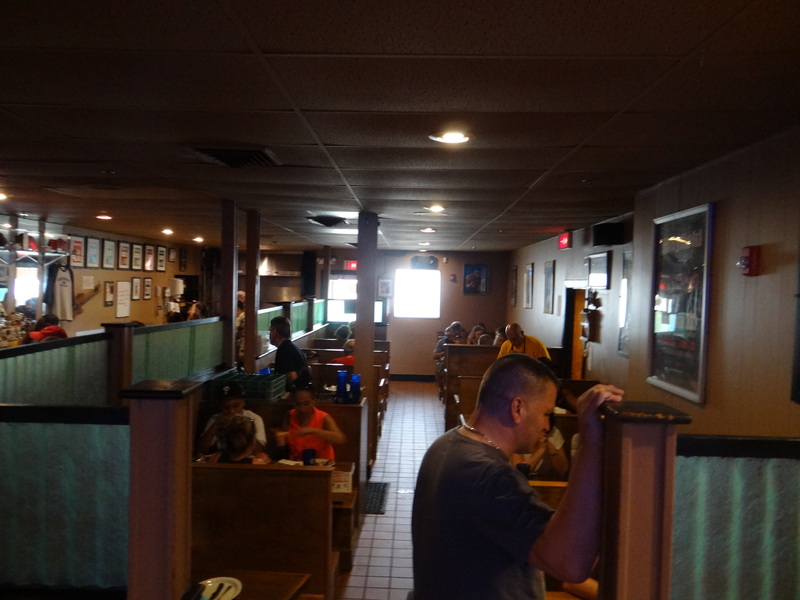 Santarpio’s also serves barbeque in the form of sirloin tips, lamb, and sausage, but we stuck with pizza. After waiting for 1-2 minutes we were directed to two seats at the bar. 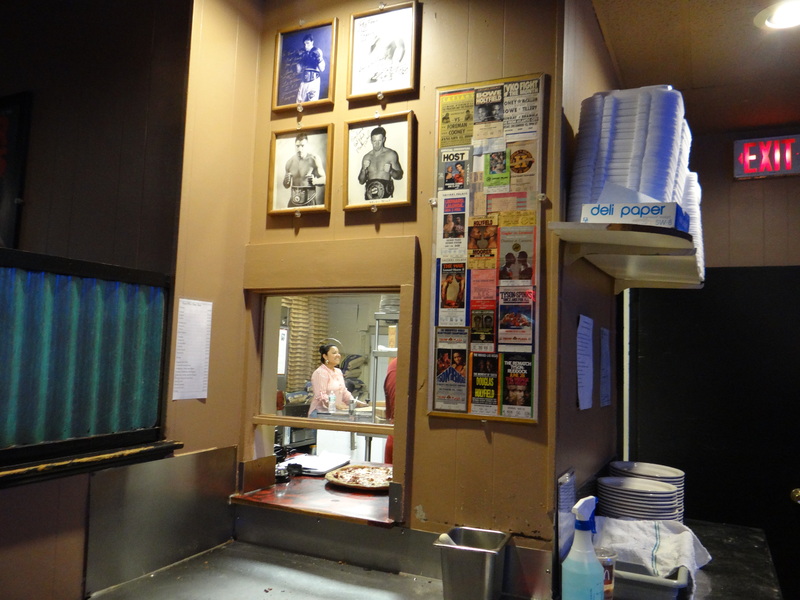 The walls are adorned with boxing photos and memorabilia, but the first thing that struck me was that there is no TV at the bar. You actually have to talk with your friends and fellow patrons! This certainly can’t be good for business on Sunday afternoons during football season. But perhaps that is just Santarpio’s sticking to its roots. When the place first opened its doors in 1903, there were no televisions. 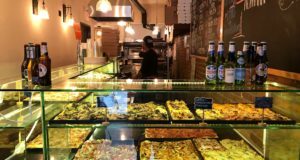 For 30 years it operated as a bakery and shifted focus to pizza in the 1930s. Honestly, it doesn’t seem like all that much has changed since then. The menu is pretty straight forward. 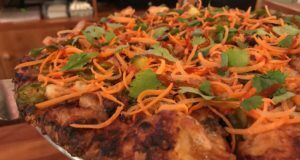 The pies range from an Italian cheese pie ($10.00) and every other pie comes with toppings culminating in “The Works” which features mushrooms, onions, peppers, garlic, sausage, pepperoni, extra cheese, and anchovies. It costs $20.25. We stuck with the most simple option. The pizza was delicious — even more so that I thought it would be when it came out of the oven. It was very oily, which I liked, although not so much that it dripped onto my plate. 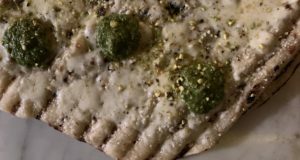 The crust was tough and crunchy — especially towards the rim — but I thought the cheese and sauce combined to make that first bite of each slice nearly perfect. I’m not sure Santarpio’s fits into a specific category. They certainly don’t serve bar pies. And I’m not aware of a particular Boston-style pie. They simply do their own thing. And they have been for some 100 years. 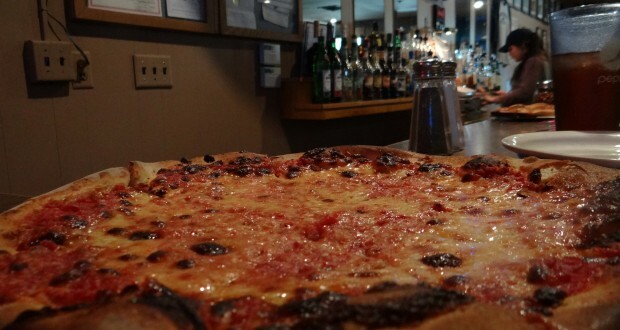 Next time you’re in Boston stop in for a pie. Or better yet, take one to go. They have a separate take out entrance on the side of the restaurant. Unfortunately, no drive through yet.